21세기는 국가와 인종, 세대와 체제의 벽이 허물어지고 있는 지구촌의 열린 시대입니다. 여러 나라 사람들과 직접 나눔을 갖고, 서로의 문화, 사고와 삶을 공유하며, 따뜻한 마음을 나누는 것이 현 시대를 살아가는 우리에게는 꼭 필요한 일입니다. 지역의 발전과 활성화를 위해서는 앞으로 더 한층 국제협력을 적극적으로 추진해 나갈 필요가 있습니다. 이와 같은 일들은 청주시민을 비롯한 충북도민 모두가, 자신이 주역이라는 인식과 함께 계획을 세운 뒤 스스로 실천해야 합니다. 이같은 과제를 풀기 위해서는 청주시민을 비롯한 충북도민과 국내거주 외국인을 대상으로 국제협력에 관한 친선교류사업을 비롯한 인재교육과 각종 지원사업 등을 실시함으로써 해결할 수 있습니다. 2001년 시작한 순수 시민모임인 ‘국제협력회’가 우리 법인의 전신으로, 그동안 독일, 중국, 대만, 미국, 일본 등 청소년, 일반시민단체와의 친선 교류와 함께 인도네시아 쓰나미 때 유니세프에 성금기탁, 일본 지진 때 야마나시현청에 성금기탁, 청주시내 거주 다문화가족 세계의상쇼 개최 등 국제교류와 협력을 적극 실행.참여해 왔습니다. 이러한 소기의 성과를 바탕으로 더욱 적극적이고 활발한 국제협력사업을 펼치고자 대외적으로 신뢰도 있는 사단법인으로 충북국제협력단을 발족하고자 하며, 앞으로 충북국제협력단은 비영리법인으로서 청주시를 비롯한 충청북도의 발전에 기여함은 물론 국제간 평화와 번영에 공헌 하고자 합니다. The 21st century is the age of breaking down globally the walls that surround nations, races, generations, and ideologies. In this period it is necessary for us to meet many different kinds of people from the world, and share with one another our cultures, thoughts, and lifestyles, as well as the warmth of our hearts. In order to bring about the development of the local cities, we should actively promote globalization and international cultural exchange further. All of the citizens should cooperate with the city government and translate our plans into action for the development of the world. 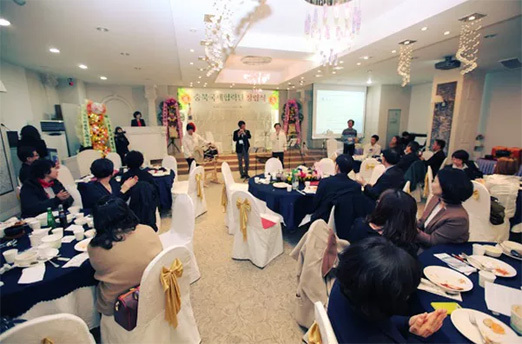 In addition, all of us, the members of the International Non-government Relations and Culture Exchange Organizations, would like to concentrate our energies on pushing ahead international culture exchange inside Korea. For the purpose of contributing to world peace and prosperity, we are in pursuit of international cooperation and relationship in parallel with the growth of the local and national society in the 21st century.